Chef Danni Barry is one of an elite group of female Michelin starred chefs in the UK & only the second female chef ever in Ireland to gain a star. Danni hails from the Mourne country in Northern Ireland. Her cooking career began in 2003 in the then Michelin starred Deanes in Howard Street with chef Michael Deane. Four years later Danni went on her travels to South Africa, Australia, New Zealand and mainland Europe, garnering knowledge from the high end restaurants in which she worked along the way. 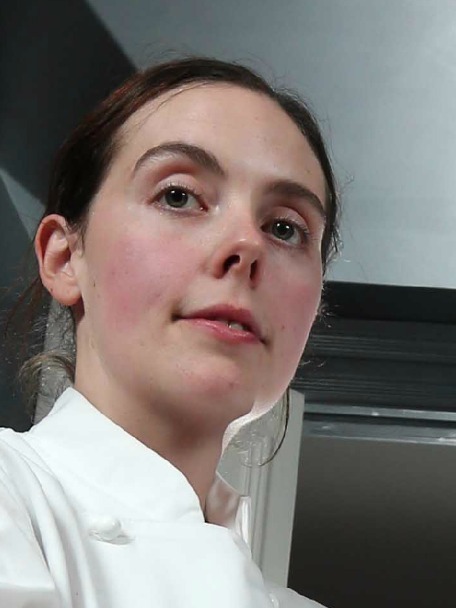 After a spell at Simon Rogan's l'Enclume, in Cumbria, now the number one restaurant in the UK, she was appointed to head up the kitchen at Rogan & Co in Cartmel, where she remained until Michael Deane persuaded her to come back to Belfast to take the helm at Deanes EIPIC. Danni is driven by her passion for only the freshest and most seasonal produce being cooked to perfection. Her style is progressive, honest, flavoursome, light, visual, balanced and modern.